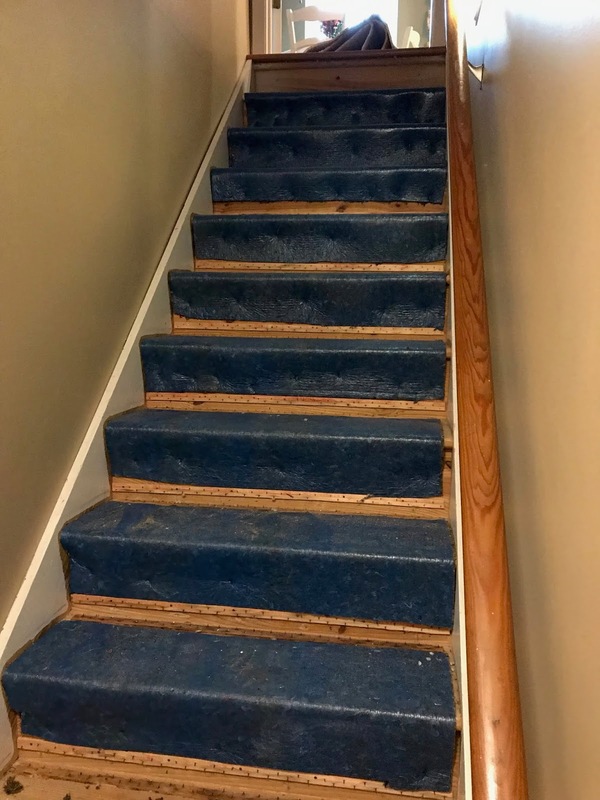 Saturday was devoted to completing the remodel of the stairs as part of the basement project. I mean, how hard could stairs be? Then came the reconstruction. As it turned out, we needed to borrow both a table saw and a sliding compound miter. 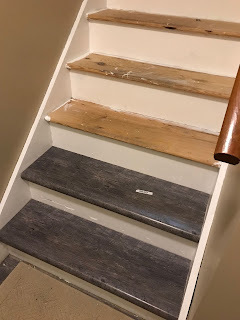 I have a very nice compound miter, but the blade was not big enough to complete the cut on the treads and so I needed to use a sliding compound miter. I was nervous. 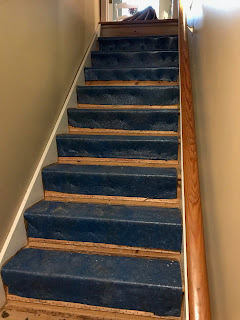 The treads were not inexpensive and they took about three weeks to actually arrive once I ordered them. I needed to be precise and smooth performing two actions: cutting to length on the sliding miter and ripping the extra width on the table saw. 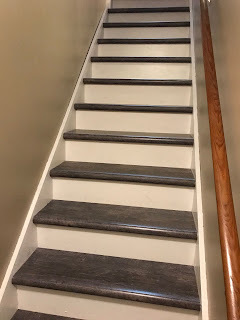 I also had to make small adjustments for each stair to customize the fit. I remembered that it is easier to trim off than to add back what has already been cut. After each of the treads had been cut and placed, then came the glue to hold the treads in place. That part went very well and that part of the project was complete. The stairs were the last major part of the remodel. All that remains are smaller touches like replacing a ceiling fan, installing some light units and getting the cabinet toe kick in place. Then there is the decorating which will likely never actually be complete. What's next? Did I mention that the washing machine started making a terrible noise yesterday? Today I will be elbow deep in the washer, again!